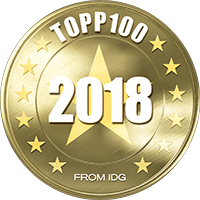 Stockholm has a selection of Irish pubs for anyone who enjoys beer, whiskey, live music and a friendly atmosphere - perfect for anyone looking for that "at home" feeling and wanting to socialise in unpretentious surroundings. Watch a sports match, join a pub quiz, eat and mingle with English-speaking locals and tourists from all over the world. And don't miss celebrating Ireland's national day, St Patrick's Day, at one of these bars if you want to experience them at their best and most lively. 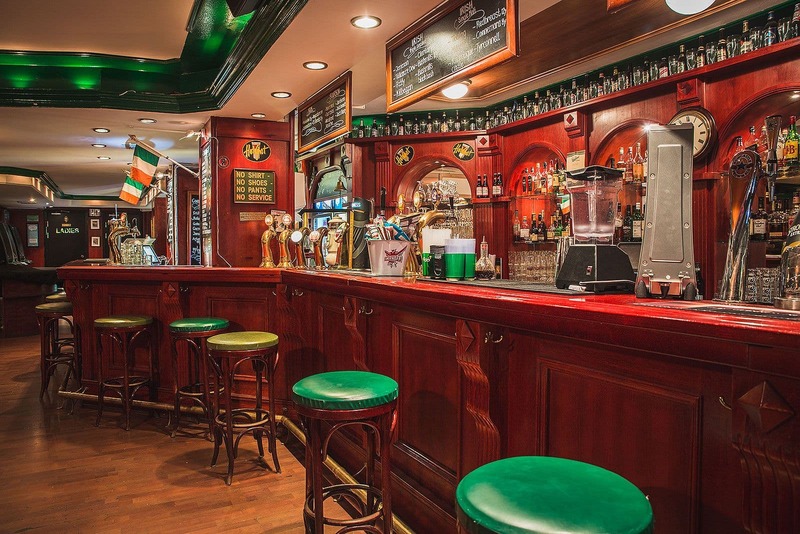 We list some of Stockholm's most authentic Irish pubs for when the Celtic mood takes you. 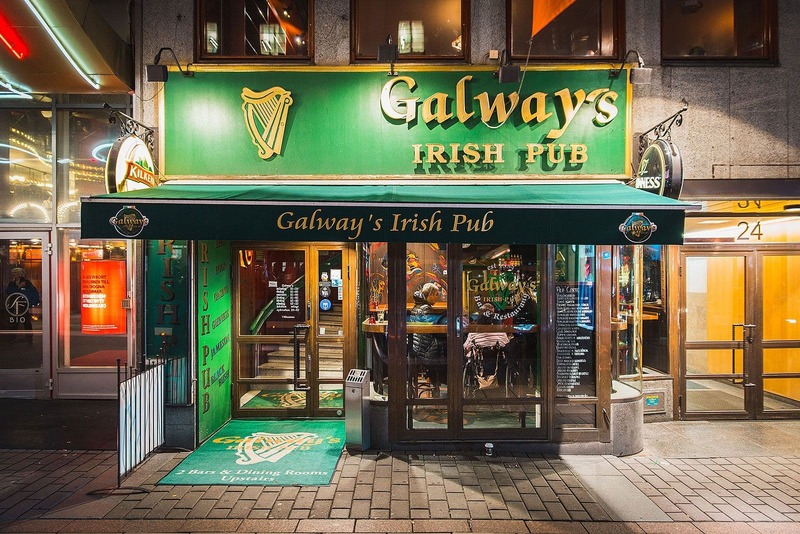 Pop by this authentic Irish pub on Kungsgatan to eat classic pub grub, hang out at the bar and watch the game - or why not visit their nightclub? They have a wide range of beer and whiskey and the decor is unpretentious pub style with dark wooden panelling and green leather sofas to sink into and escape the hustle and bustle of Kungsgatan. Stockholm's oldest authentic Irish pub used to be called The Dubliner but now goes under the name The Auld Dub. They serve up Irish food and, as you would expect, the drinks selection is extensive. They show sports matches on their big screens and there are regular live music performances and pub quizzes. The Liffey in the Old Town draws in Stockholmers and tourists keen to soak up the welcoming atmosphere, listen to music and have a beer. The pub puts on everything from live performances and quizzes to various theme nights, such as burger and beer evenings. Naturally you can also follow the game on the big screen too. This Old Town pub is a popular regulars haunt, particularly among Stockholm's English-speakers. 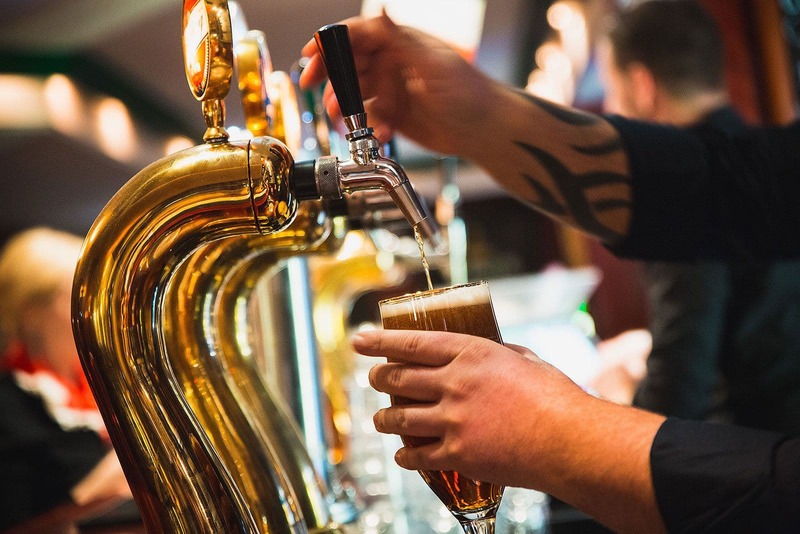 Count on plenty of beer, whiskey, proper pub grub and live music performances held in the 17th century cellar, as well as quiz evenings, rugby matches and other sporting events shown on the big screen. Limerick aims to be a meeting place for families and sports fans alike by providing great service and tasty food. They combine the best elements of traditional restaurants and sports bars and they serve both lunch and dinner. 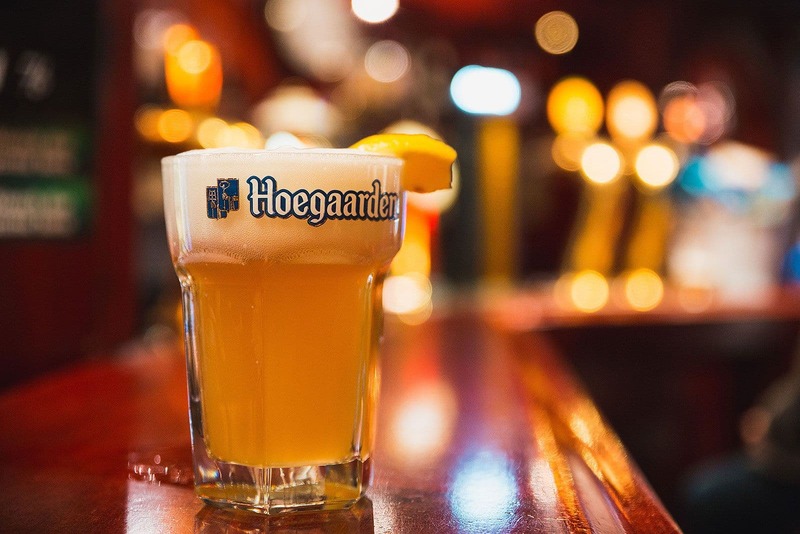 If you're in the mood for a post-work drink you'll always find the bar busy and lively. Live music and sports events are regular features at the Södermalm pub Southside, which opened on Hornsgatan in 2004. Watch the football and the rugby or just take a pew with your friends and eat, have something to drink or perhaps join the quiz. If you find yourself on Drottninggatan and fancy something to eat or drink, just pop into Pickwick. This Irish retaurant and pub is housed in the same premises that the Swedish musician Carl Michael Bellman used to frequent in the 18th century, and these days they serve good food, beer on tap and by the bottle, as well as a large selection of whiskies. 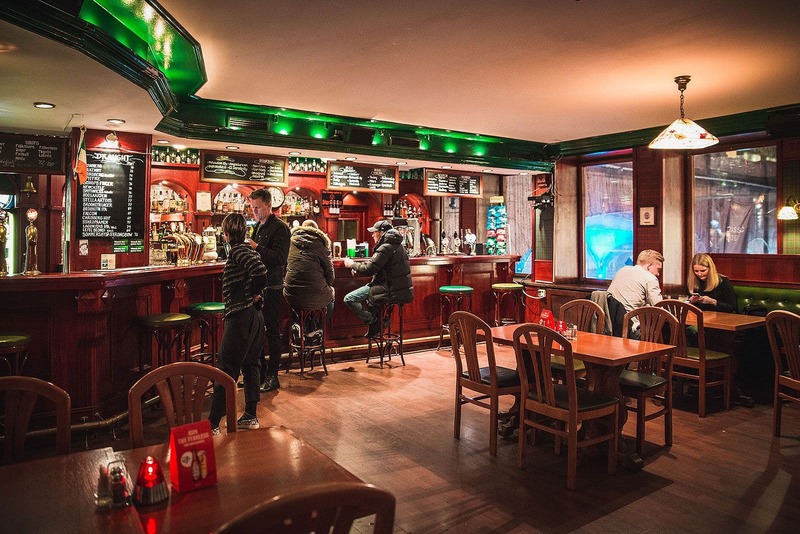 You'll find an authentic Irish atmosphere at this pub on Stora Nygatan. Drink various Irish whiskies and beers among the historic cellar vaults. People of all ages and nationalities gather here to watch the rugby, listen to Irish bands play live or have a bite to eat. The guide to Stockholm's best Irish pubs is updated regularly. Please contact us at hello@thatsup.se if you know of any good Irish pubs in Stockholm that we've missed and ought to include, or if you spot any errors in the guide.